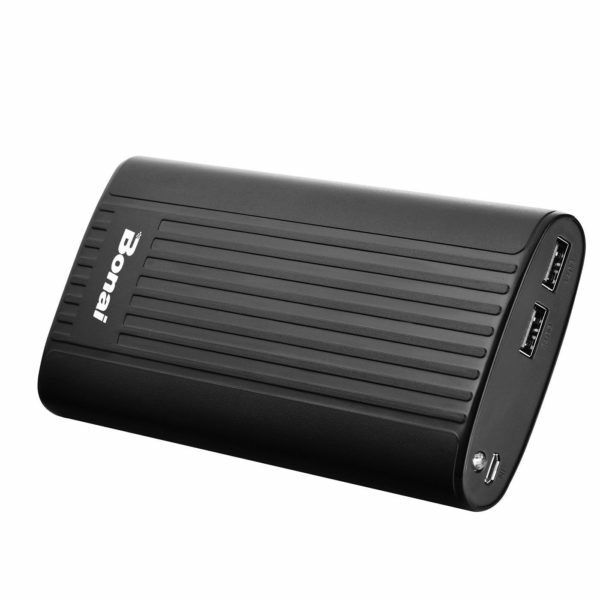 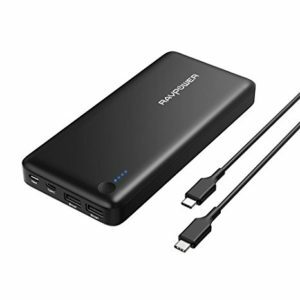 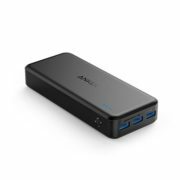 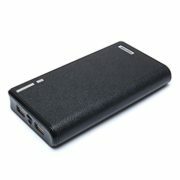 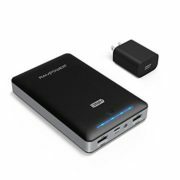 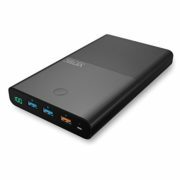 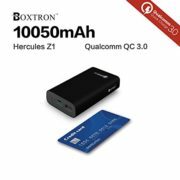 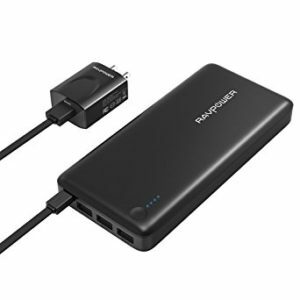 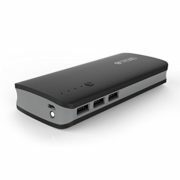 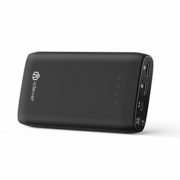 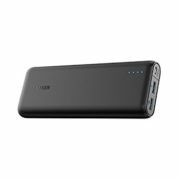 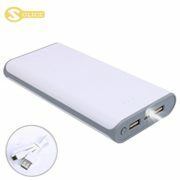 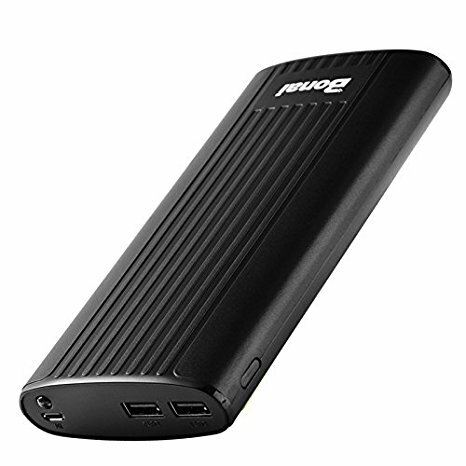 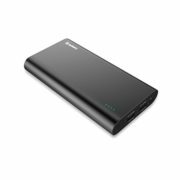 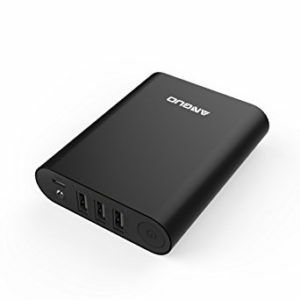 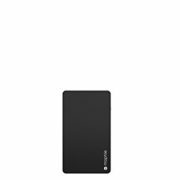 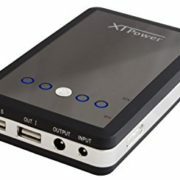 High Capacity: 20000mAh Portable External Battery Charger. 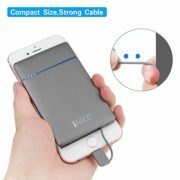 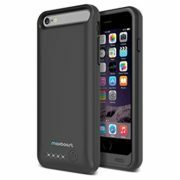 Charge your iPhone 7 6 times, a Galaxy S7 5 times or an iPad Mini 3 2 times. 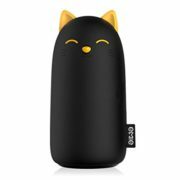 Please be fully charged for the first time. 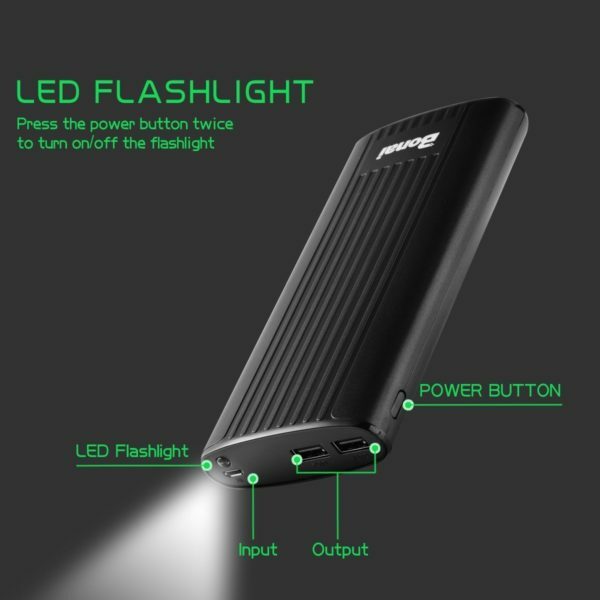 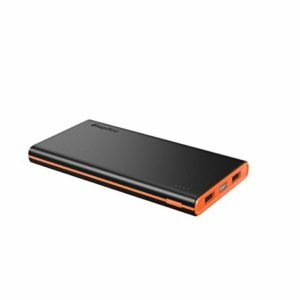 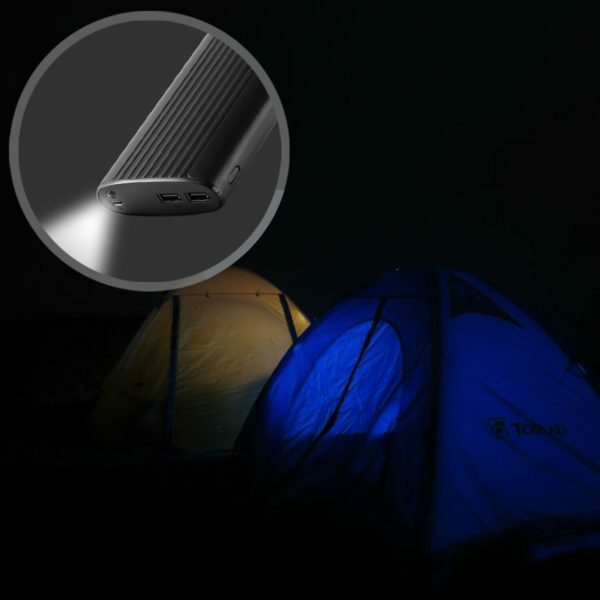 Built in LED flash lights: The power bank has built in LED flash lights which are bright enough to help in emergency situations. 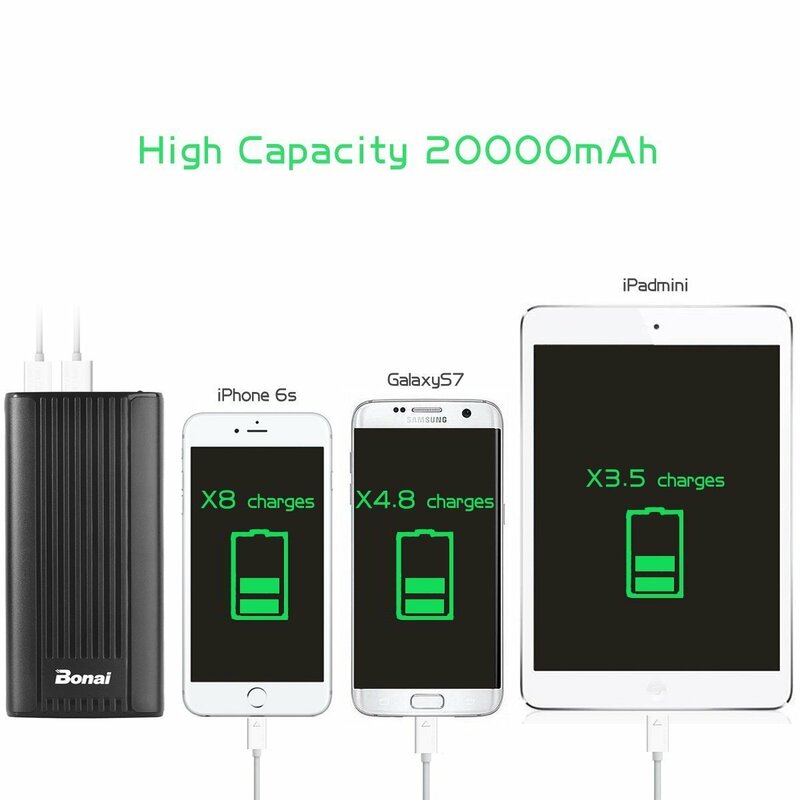 4 status LEDs shows you the available capacity of the powerbank Advance safety functions: Our backup battery charger is designed to protect your device. 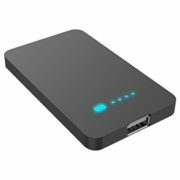 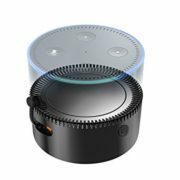 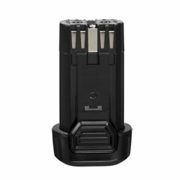 The smart circuitry ensures protection against overcharging, short-circuiting, voltage instabilities, and even over discharging More safety input and output: Made by 5V / 2.1A input and dual USB ports 5V / 2.1A output. 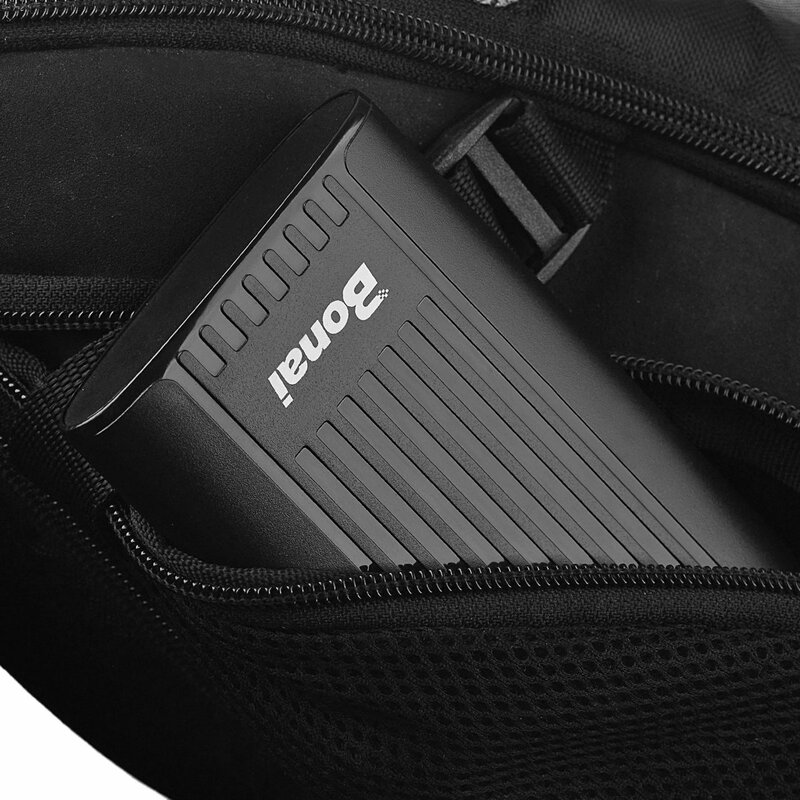 Not too fast but safety. What’s in the package: Bonai 20000mAh External Battery Pack, Micro-USB Charging Cable, User Manual.